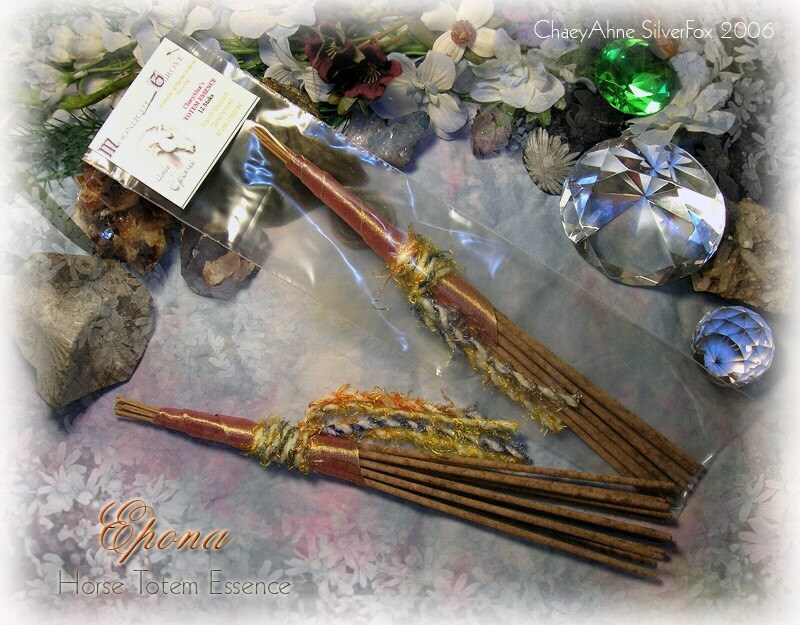 This listing is for ONE package of my ~* Moonlight on the Grove *~ 'Epona' HORSE long burning, oil drenched, FRESH hand dipped TOTEM ESSENCE ceremonial herbal incense sticks, 12 per package. The highest quality concentrated oils are used, alcohol free, hand dipped and soaked for a minimum of 24 hours. These enchanting blends were created specifically for Shamanic Journying & Spirit Guide Calling, Totem Animal Meditations, and Inspiration. Incredible scent! Our incense blends are chosen to enhance the state of peace required during meditation, ritual work, writing, crafting, or any other activity that requires a state of tranquility. These are long lasting and the true smell permeates the air when lit. Each stick will burn 45+ minutes. Each bag of Sticks comes labeled, and in a resealable plastic zip-lock bag to keep them fresh.